With Yahoo's Thursday launch of its social news site Yahoo Buzz in India, the country becomes the first outside-US market to have the product introduced. In due time, Yahoo intends integrating advertisements into Buzz for revenue reasons. Buzz plays a vital role in shaping the headlines on Yahoo's homepage, as the social news site help identifyong the top news stories and blog posts, by the way of users' votes and comments. 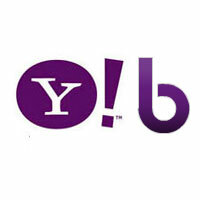 In a statement about the scope of Buzz, Frazier Miller - Yahoo's India Head of Audience - said: "Yahoo! Buzz is a great example of how we can combine popular stories with the wisdom of real people to determine what is most engaging and relevant to our millions of users." Regarding the launch of Buzz in India, which falls in sync with the Yahoo precedent of testing out new technologies in the country, Miller said that the US and Indian markets have a lot in common - including the use of the English language, which facilitates the early launch of products from one country to the other. Ever since the US launch of Buzz last year, the site has received content from more than 20,000 publishers. In fact, more than twenty five domestic publishers - including NDTV, Times of India, India Today Group, Zee, A2 Media and One India - already have their content featured on Yahoo Buzz in India!